The Business forum IV “Russia-Singapore Business Dialogue” was held in Singapore on the 26th of March. 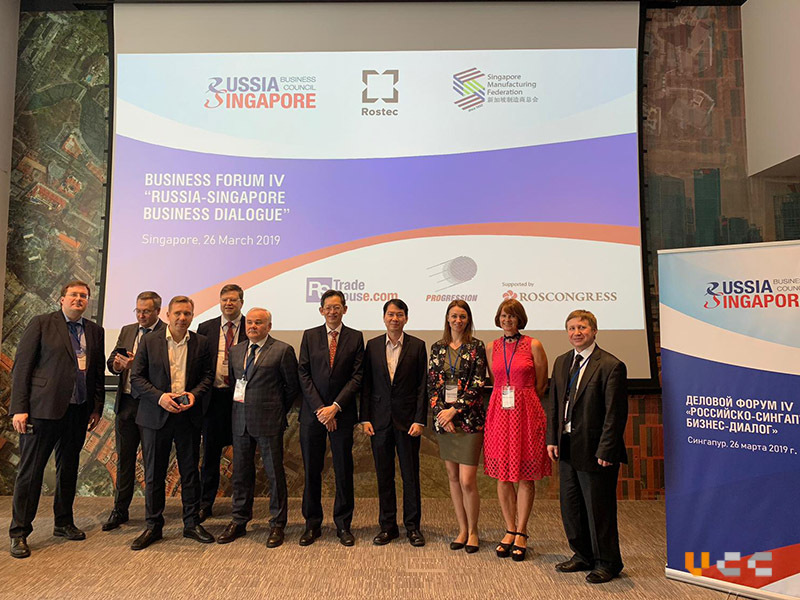 The forum was organised by the Russia-Singapore Business Council and as a partner of RS Trade House, VCC was invited and was formally introduced by RS Trade House as their technology partner at the event. 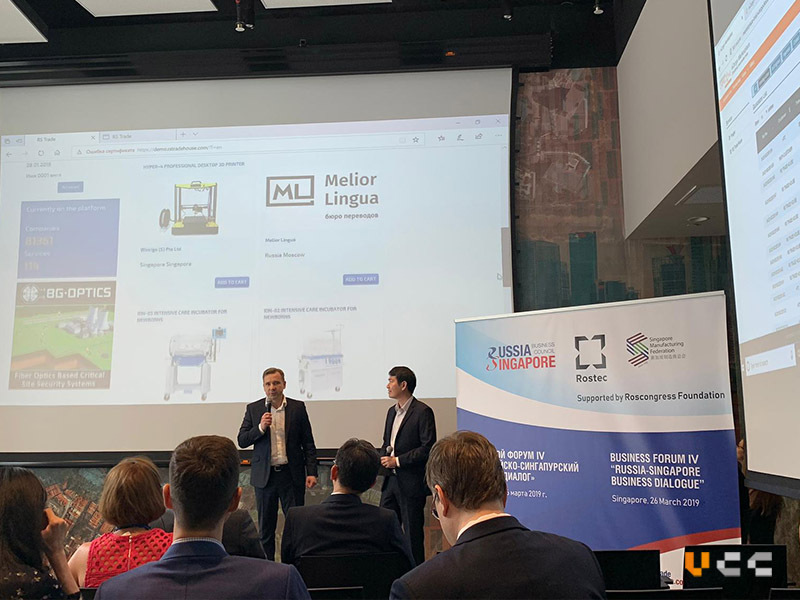 One of the main highlights at the forum was the online presentation of the integrated solution of LLC Rstrade and vCargo Cloud. RS Trade House platform will bring production and manufacturing companies from 22 countries to the integrated solution. VCC on the other hand, through service providers who are on the eCargo Marketplace, will provide cross-border trade and logistics solutions and services to these production and manufacturing companies. It was also the first time this integrated solution is presented to the public. RS Trade House has emphasised that VCC is an important partner in Asia-Pacific and this project will be great for Eurasian Economic Union – Asia-Pacific trade. With this integrated solution, VCC will be able to bring our services to Russia and Eurasian Economic Union countries, creating more trade opportunities between Singapore and Russia. This is also aligned with one of the key priorities of Rostec, to strengthen and create more collaboration opportunities between Russia and Singapore companies. We look forward to more working opportunities with RS Trade House and Russia companies.